The Streetwise Level 1 Ballistic Plate is a bullet resistant plate that provides perfect bodily protection. It has the ability to stop up to three shots in the same spot of 9 mm, .38 cal, .380 cal or .22 cal bullets. 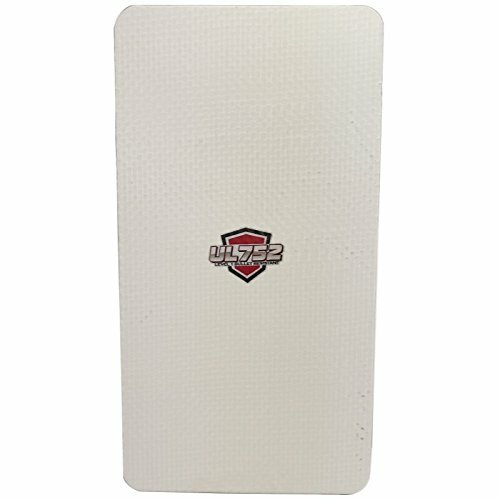 The ballistic plate protects vital body organs from injury and fits into many large backpacks, so it is perfect for keeping your children or yourself safe. Dimensions: 10" x 0.25" x 19"; Weight: 3.67 lbs. Manufacturer: Cutting Edge Products, Inc. Publisher: Cutting Edge Products, Inc. Studio: Cutting Edge Products, Inc.